Posted on 2018-08-07, updated at 2018-08-08, by perica123. 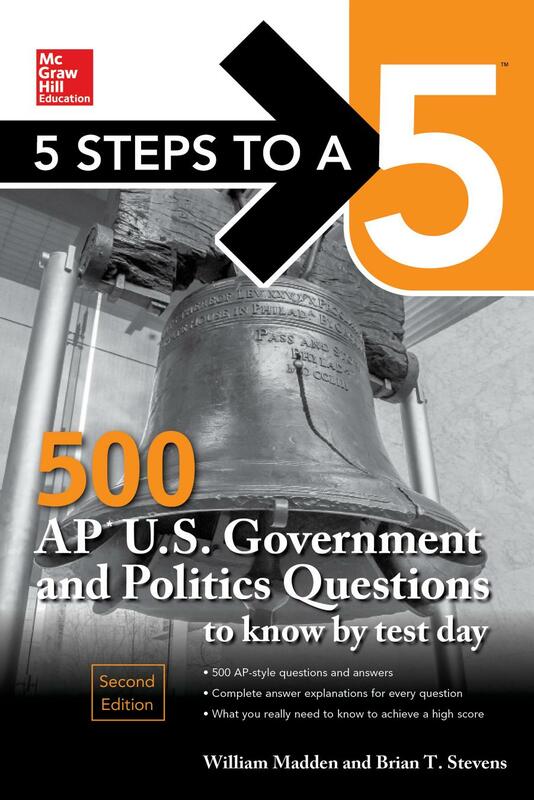 5 Steps to a 5: 500 AP U.S. Government and Politics Questions to Know by Test Day gives you 500 practice questions that cover the most essential course material and help you work toward a 5 on the test. The questions parallel the format and degree of difficulty that you'll find on the actual AP e x a ms and are accompanied by answers with comprehensive explanations. The questions in this book were written by expert AP teachers who know the e x a m inside and out, so they closely reflect what you'll see when you'll sit for the AP U.S. Government and Politics test.